AMY GOODMAN: That was Ahmed Abu Artema, the Palestinian poet, journalist and peace activist who inspired the Great March of Return. 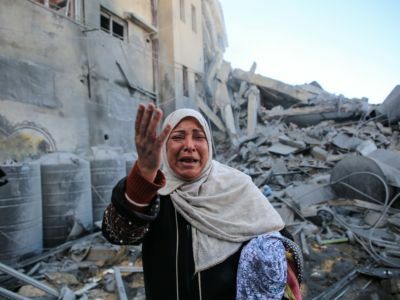 Israeli forces have killed more than 200,000 Palestinians, and according to the UNHCR, as many as 26,000 Palestinians have been wounded in this year of the march. The U.N. says Israeli forces may have committed war crimes and crimes against humanity by targeting protesters in Gaza with lethal force during this year, including children, journalists and the disabled. The Return March, which has just ended, was unique in recent history in Gaza for a number of reasons.